A quiet town nestled in mountains, Sant Josep de sa Talaia (or San Jose), is notable for preserving its Ibicencan authenticity. The village is based close to Sa Talaia, the highest mountain of the island (at 475 metres) that crowns a beautiful view reaching Formentera. 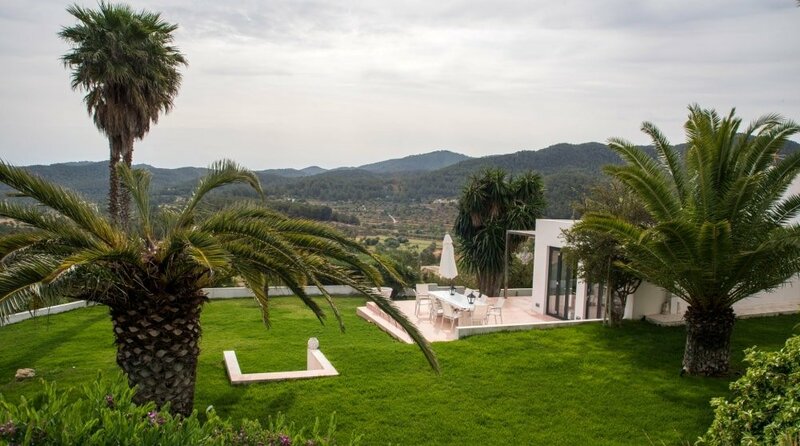 Any Sant Josep property is blessed with stunning views and peaceful surroundings. In the surrounding night-black hills of San José, you will see the pools of light of the illuminated villas. Situated on a hillside, these stunning modern houses boast magnificent views over the island, beautiful beaches, as well as Dalt Vila. 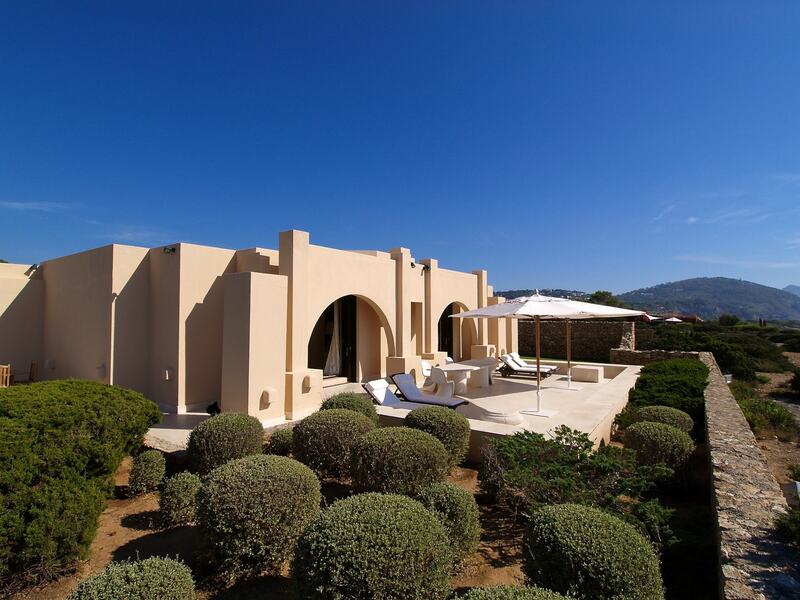 Near to the area, you will also find really wonderful traditional country properties and renovated villas with beautiful gardens, organic orchards and outdoor dining areas. An average price for a house on Sant Josep property market hovers around Average price per sqm. in Sant Josep de sa Talaia €6,159 0% properties#: 239 last change on: 23 Apr 2019 €6,159 per square meter and prices for apartments are Average price per sqm. in Sant Josep de sa Talaia €3,127 0% properties#: 51 last change on: 23 Apr 2019 €3,127 per square meter. Investment opportunities are available at a current average of Average price per sqm. in Sant Josep de sa Talaia €2,824 0% properties#: 14 last change on: 23 Apr 2019 €2,824 per square meter. There is a premium value on the top of the selling price for a house in the area. The most renowned agencies on Sant Josep property market are Luxury Villas Ibiza, Ibiza Properties for Sale and Everything Ibiza. Despite being the centre of the largest municipality on the island, the village is small and boasts a distinct tranquillity. It consists of just a couple of streets, the church, and the town has some shops, restaurants, and a small residential area. This makes it ideal for those, who wish to relax and enjoy a quiet holiday, or those, who need a place to recover from various Ibiza attractions. Also, it is the perfect spot for the countryside and sea lovers. Yet, this charming area is just 10 minutes drive away from the Ibiza town, a lively cosmopolitan centre with plenty of activities. Alternatively, if you head 15 minutes in the reverse direction, you will find yourself in the heart of the bustling resort of San Antonio. Sant Josep maintains the flavour of the white walled villages that have brought fame to Ibiza, which is called ”the white island”. Surrounded by the rural landscape of crops and forests, the inner area of the town is interesting with the fig, pine and carob trees framing the traditional Ibiza’s whitewashed houses. The main sight of the village is the white-walled church also built in the traditional style. Behind the church, there is a shady arbour in which to sit and contemplate the slow-paced village life. Situated south of Ibiza, the area is ideally positioned to explore some of the popular beach spots of the island. It is filled with surrounding coves and beaches for all tastes. 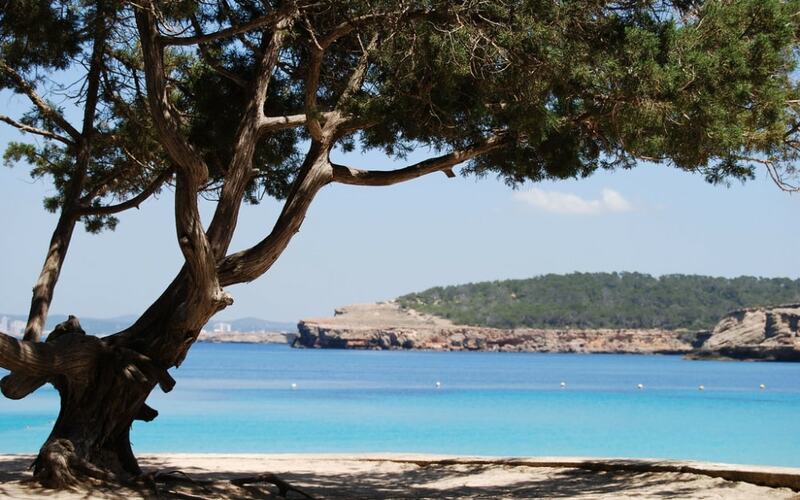 Here you find little romantic calas washed by a crystal clear sea, such as Cala Comte, Cala Bassa, and Cala Vedella, and wide stretches of sand surrounded by lush vegetation and rich pine woodlands, with most notable being Ses Salinas and Es Cavallet. First and foremost, it is a year-round residential community rather than a touristic resort. A number of Northern Europeans has made San José as their home. The village maintains a laid-back and traditional Ibicencan vibe, whilst still providing anything you could possibly need for a day’s visit or a life-long stay. There is no lack of great bars and restaurants in San José. By walking up and down its streets, you will find a surprising amount of cafes and eateries. For example, the Fashion café is great to lounge for a morning cafe and newspaper. In the restaurant of Can Manyanet, the typical Mediterranean food can be enjoyed whilst gazing at the blooming flowers in the garden of its small alcove. Tapas bar Destino features more sophisticated Spanish dishes, yet it retains a cosy traditional atmosphere. It is said to serve the best tapas on Ibiza. There is also a great variety of shops in the centre of the village. So you can buy here not only local produce, and traditional pottery, but also anything trendy in the decor and fashion shops. The town also offers some entertainment with spots to enjoy outdoor music. For example, in the Es Raco Verd, you can listen to Blues and Jazz, surrounded by pleasant conversations in various accents and languages of the cosmopolitan crowd. You will enjoy this amazing atmosphere and the clear night sky with the millions of twinkling stars. In March, the village celebrates one of the most important local festivities, the fiesta de Sant Josep, during which there are many different events and activities. Conveniently, the town is closely located to a myriad of services. 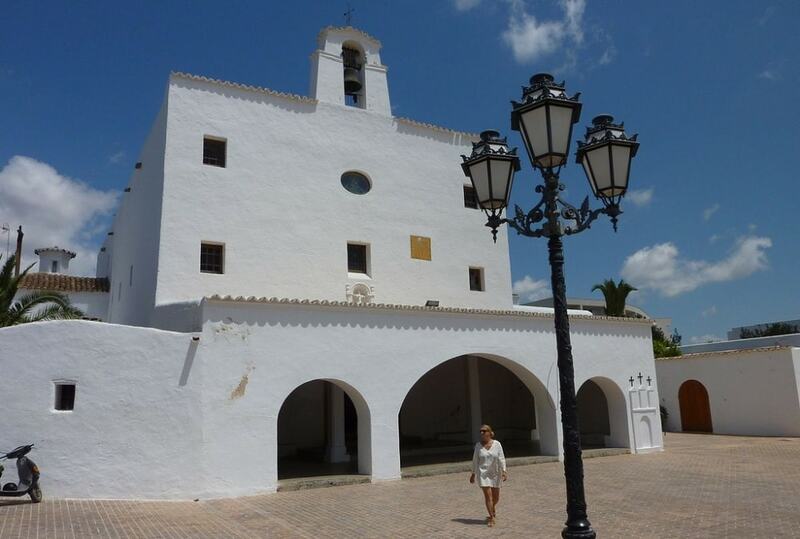 Handy for the airport, it is also within minutes of the bustling resort of Playa d’en Bossa. The ports and marinas of Puerto de Sant Antoni and Puerto Ibiza are just 10-15 km away. For the golf players, Ibiza Golf club is reachable in 30 minutes driving distance. This way, if you are eager for a slow and relaxed paced of life San José is definitely a great base for visiting or owning a second home for you.